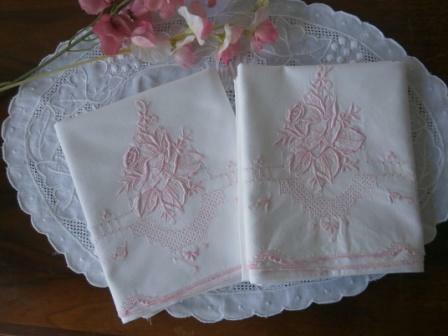 This is an absolutely lovely pair of pillowcases with a pink rose embroidered showing gorgeous detail and drawn threadwork. 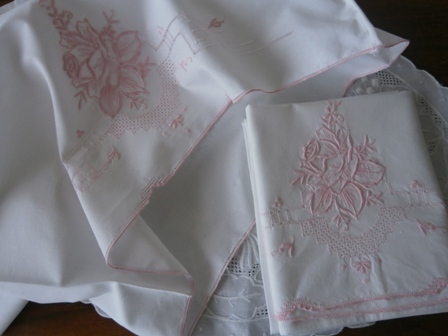 The cotton is crisp and snowy, white being in excellent, unmarked vintage condition. These pillowcases have a very elegant waterfall closure. Fibre 100% cotton. Size 31" x 19".